Not all spyware intercepts keyboard input and make screenshots. There are programs that listen to conversations in the room where the computer is located. They also pose a risk to users, depriving them of the right to personal space. 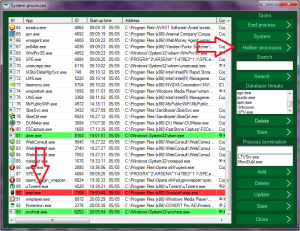 We show how to detect such programs and how to block recording of conversations. 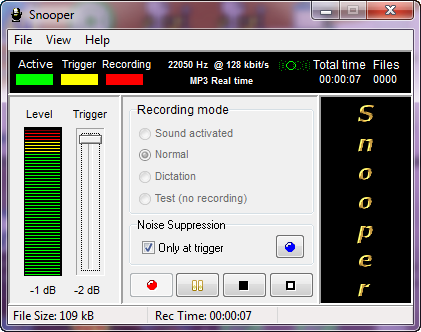 As an example, consider audio spyware Snooper. This program secretly connects to the computer’s microphone, records all sounds in the room and sends this information to its owner. 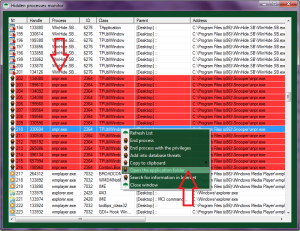 To detect spyware, run COVERT Pro and open “System processes” window. 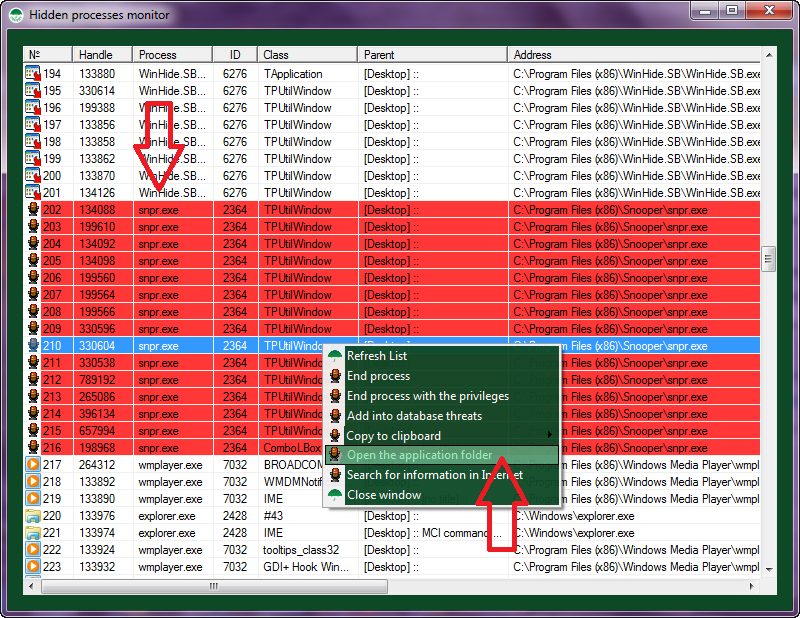 If this spy is running in normal mode, in the list of running processes you will see process snpr.exe, which will be highlighted in red. 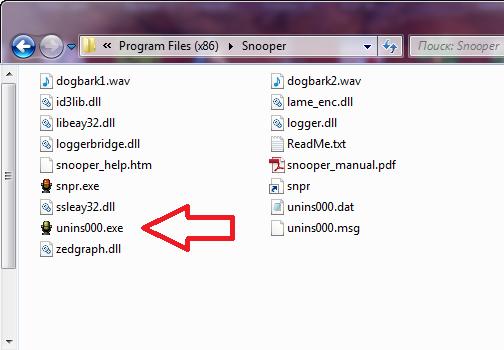 If Snooper running in stealth mode, it can be detected only in the monitor hidden processes. Click on “Hidden processes” in the same window. Its process also will be highlighted in red. 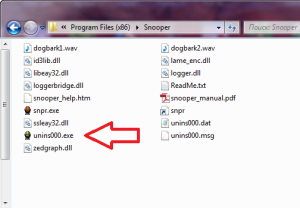 To remove Snooper terminate process snpr.exe, after opening a folder with the application via the context menu, and run uninstall program. Spyware will be removed. 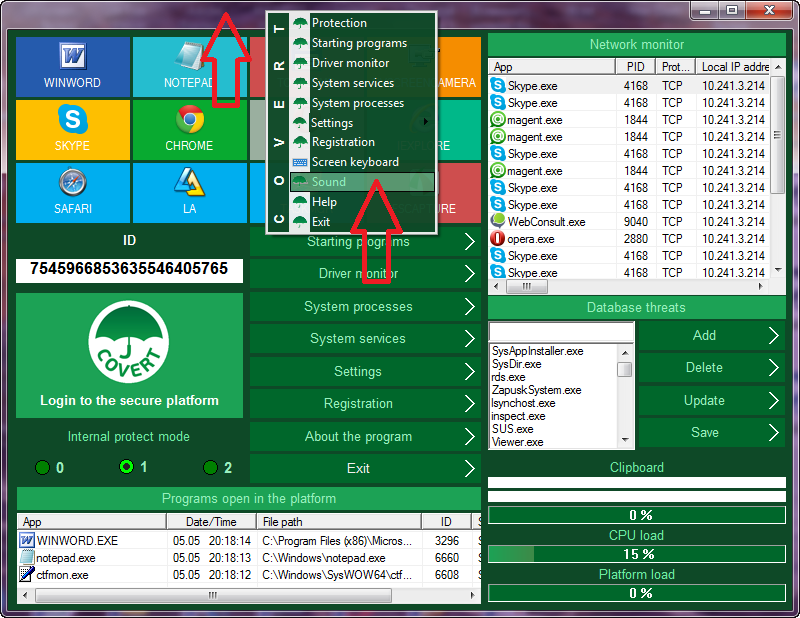 If for some reason you do not want to delete it, or want to mislead the person who spying on you, you can use COVERT Pro for turn off all microphones connected to your PC. To do this, right-click on the upper frame of the main window, and then click “Sound” or click F2 on your keyboard. In the opened window, click on the microphone icon to turn off the possibility of obtaining sound from all microphones of your computer. Spy will remain active and will continue to record, but only silence, because your microphone is muted. As a result, attacker will not receive a sound record of your conversations. To activate your microphone again, press the same button. We recommend using this feature always when you enter in COVERT secure platform, even if you do not plan to use your microphone. There are many attackers and many methods of obtaining confidential information, so always try to hide your actions, even if it seems that there is no threat.